This entry was posted in Fish Stories and Other Tales, Fly Tying Classes, Schedule and Events and tagged David Footer, Footer Special, LL Bean. Thank You for posting this story and the lead to the newspaper column about this gifted and talented outdoorsman. In addition to his other skills, his Atlantic Salmon and Brook trout wood carvings are just outstanding. What a guy! They don’t make them like him anymore. I agree with you, David is a very talented man. Thanks for your comment! That’s a really nice version of the pattern, Donnie. It’s not always easy to get the bucktail color bundles to stay separated like that throughout the assembly process. Thanks for your compliment on the Footer Special, Bill. 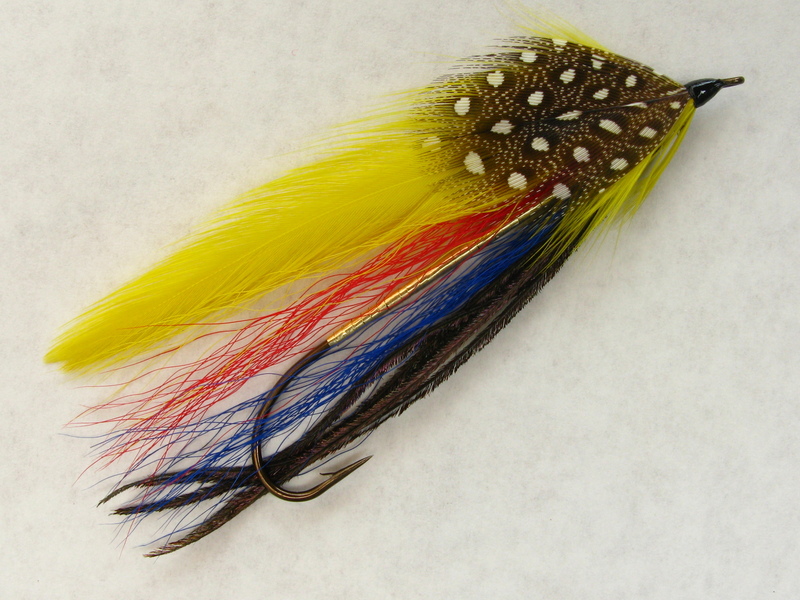 I actually tied this fly in Carrie Stevens mode; the bucktail and herl is attached behind the head, only the wings are attached at the head. Oh, and I cemented them too. Makes a good way to keep heads small. Thanks for your comment!